Photo by Outlaw Comedy and Outlaw Comedy | The State Press Comedian Taylor Tomlinson performs at the ASU 1st Laugh comedy show on Sunday, Aug. 23, 2015, at Wells Fargo Arena in Tempe. The show is put on annually by Outlaw Comedy, an on-campus club focused on community service and comedy. After concerts, mixers and club activities tucked freshmen into their new school throughout ASU’s event-filled Fall Welcome Week, students gathered in Wells Fargo Arena Sunday evening to end it all with resounding laughter for the annual comedy show, ASU 1st Laugh. The event is put on every year by Outlaw Comedy, a club on campus that focuses on jokes and community service, according to club president and psychology junior Ethan Cuthbertson. ASU 1st Laugh was not merely a single-act comedy show—it included a barbecue, guest appearances and three comedians. The multiple facets of the event embodied the mission of Outlaw Comedy founder Brian Smith, who spoke to the audience early in the show. After the barbecues, students made the trek to Wells Fargo Arena and were greeted first by several players from the Sun Devil Football team, one of them being quarterback Mike Bercovici. Bercovici emphasized the unity of the Sun Devil family with a rousing speech that was inclusive to all. “We may be bigger and faster than the average freshman, but we’re one of you guys,” he said. The players encouraged students to not only come support the football team, but to reach out to the players when they saw them on campus. Then, they gave freshmen a small taste of what games would be like by leading the crowd in a cheer, which livened the atmosphere and set the stage for what was to come. Three of the football players later returned to the stage with comedian Bone Hampton to help him perform the “Whip/Nae-Nae” as his opening act. As the players danced, members from the audience stood up and danced with them, establishing the interactive atmosphere of the night. Following Hampton was CJ Harlow, dressed in plaid and armed with jokes that included local references and every Sun Devil’s favorite—jokes about the University of Arizona. But all of the action and laughter was only a precursor to the main act, Taylor Tomlinson. The female comedian was the favorite for many in the audience, especially finance freshman Montana Rich. “Taylor Tomlinson reminded me a lot of Amy Schumer, and I really liked her sense of humor,” Rich said. Tomlinson’s content spanned from troubles with her roommate to the engaged couple in the audience, adding an interactive flair which proved to be entertaining for those in the audience and herself. Correction: An earlier version of this article incorrectly stated that a comedian performing on this show was named CJ Hamilton. His name is CJ Harlow. A correction has been made. 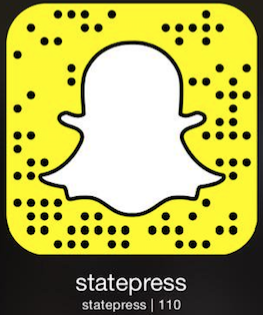 Reach the reporter at ckierum@asu.edu or follow @KatieKierum on Twitter.